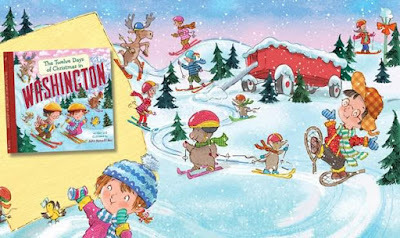 'The 12 Days of Christmas in Washington' is written and illustrated by John Abbott Nez. Welcome to 'The 12 Days of Christmas in Washington' book blog. 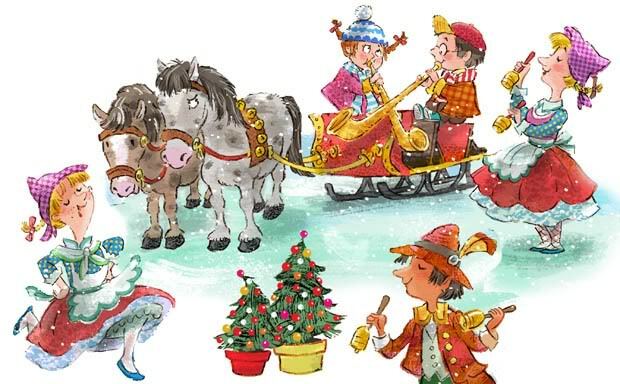 The 12 Days of Christmas in Washington is a new book for children and families by author and illustrator John Nez, who lives in Seattle. This books tells the story of a fun filled trip across the state of Washington with Molly and her cousin Max who is visiting over the holidays. On each page the two cousins visit a new place in Washington and collect fanciful gifts that make part of a song in the style of 'The Twelve Days of Christmas'. Ready to greet you are 12 boats a-blinking, 11 skiers swooshing, 10 apples gleaming, 9 cowboys crooning and much more from the Evergreen State. Now also available as a board book with the same title, which is great for toddlers. John Nez is a Seattle author and illustrator of more than 50 children's books. When he's not making books, he likes to travel the backroads of Washington. His visits have taken him to snow-capped peaks, rain forests, volcanoes, deserts, lavender fields and seaside towns. 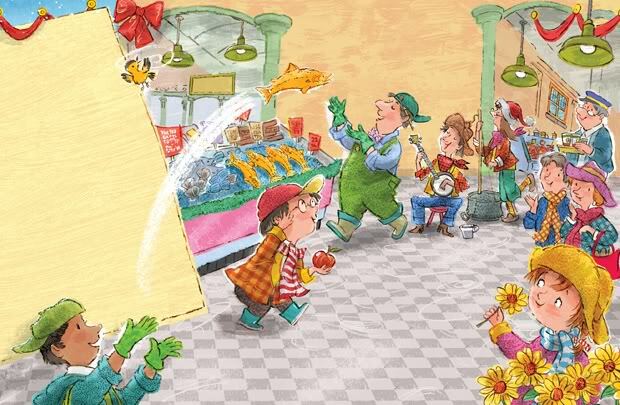 Some other recent picture books by John Nez include 'One Smart Cookie' from Albert Whitman Publishing and 'Cromwell Dixon's Sky-Cycle' from G.P. Putnam's Sons. Washington State is a wonderful collection of Nature, Cultures and amazing things. This book explores some of the places in Washington as seen through a picturebook. The original illustrations for this book were created with pencils, pens and photoshop coloring and textures. © John Abbott Nez. Powered by Blogger.